mail | That Was an Accident! Thoughts: I can’t handle being ugly while leveling. I can’t handle being ugly while boosting to 90, or while scrabbling for decent gear, or while … well, in general. 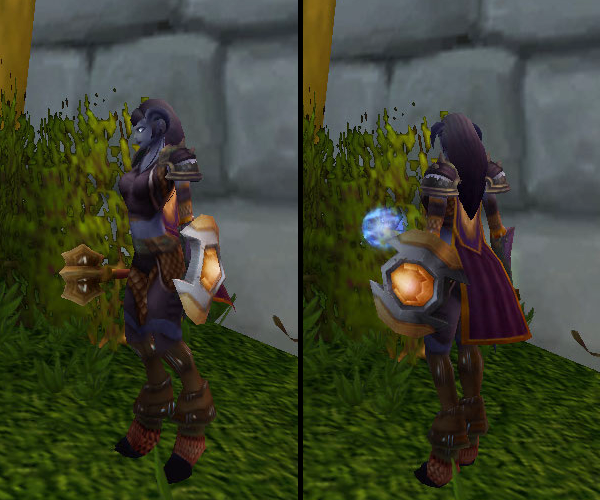 Alas, mogging while using heirlooms is difficult for classes that change armor types at 40. You can’t mog the heirlooms to a different armor type, of course, which means that you’re stuck until 40 in the first place and until you manage to acquire crap in the second. I’m not gonna wait forever, though, so this is a “soon as possible” type outfit which only requires around level 50/55 to complete. The important bits are only available to Alliance. 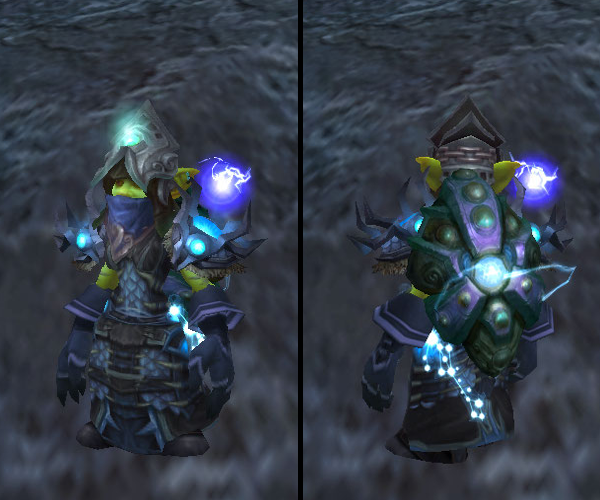 Not that any self-respecting orc or Forsaken would wear the Mantle of Exodar anyway. They do the disco there, you know. 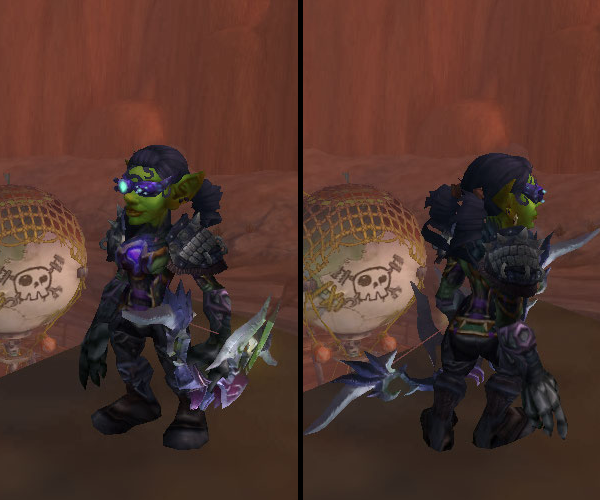 This entry was posted in Alliance Dalliance, Draenei From Space, Mail, Transmog, World of Warcraft, Yynsia and tagged belt of occult horrors, chromie's mirror, draenei, fist of argus, gut opener gloves, heavy chain leggings, mail, mantle of exodar, pauldrons of the thousand needles, rough bronze boots, shaman, transmogging, tunic of the dragon slayer, world of warcraft, yynsia on March 25, 2014 by Prinnie Powah. Thoughts: According to my scientific research, if armor sparkles, glows or moves, the coolness factor is increased exponentially. 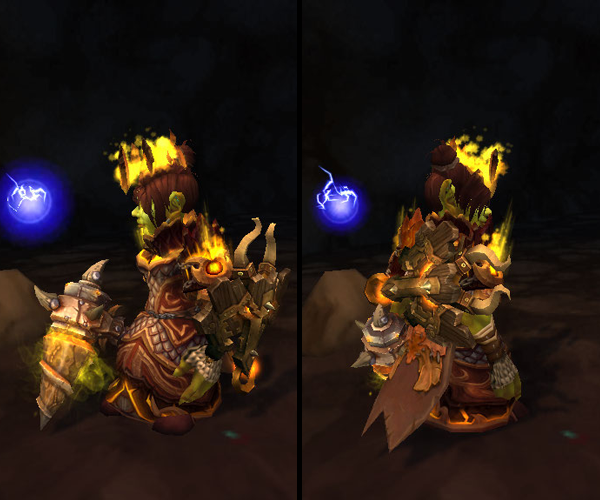 I love this shaman tier. 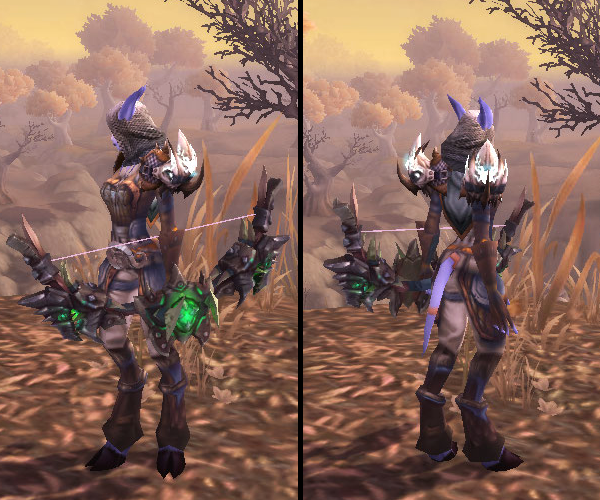 Ok, so maybe not quite as much as I ❤ the Firebird set from Vaults/HoF, but I still love it – the shoulders in particular. 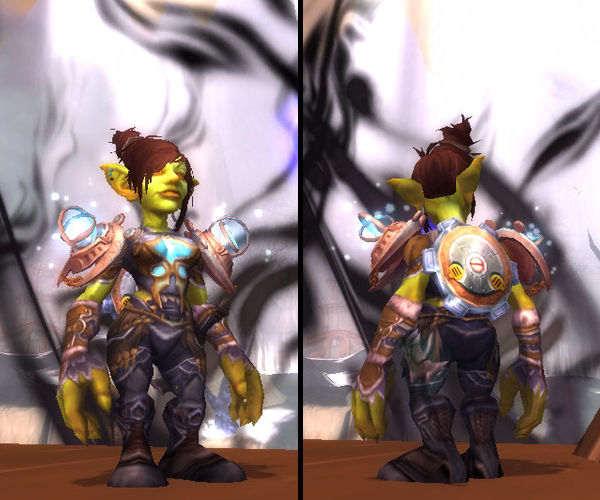 They remind me of sparkly gyroscopes, and what could be better for a goblin!? I dug out one of my favorite shields as well, Gizlock’s Hypertech Buckler. Engineers can make a similar shield, I believe, but this one drops from Maraudon for those of us who can’t. It rotates too! Full disclosure: I should note that farming anything from Maraudon is kinda a pain in the tush due to the distance you must travel to get in/out of the instance. I actually picked up this shield back when I was leveling. 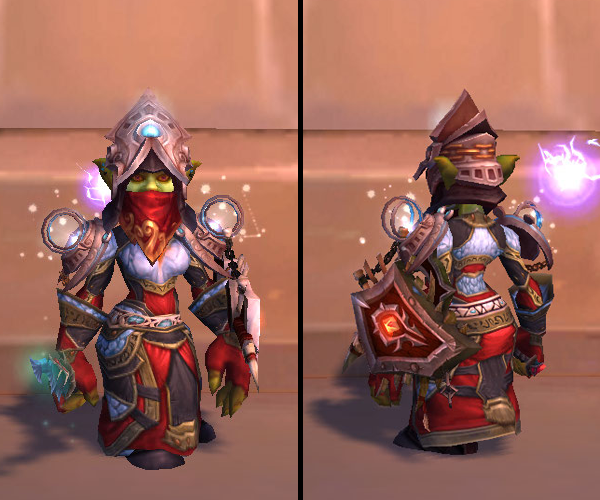 This entry was posted in Bombelina, For the Horde, Baby!, Goblins, Mail, Transmog, World of Warcraft and tagged amberpine greaves, belt of the ardent marksman, blood weeper, bombelina (formerly electrika), gizlock's hypertech buckler, golden links of restoration, leggings of the tireless sentry, mail, rock-giant's pinky cover, shaman, shoulderwraps of celestial harmony, transmogging, world of warcraft on November 21, 2013 by Prinnie Powah.